Book a ferry to Mahon with AFerry. 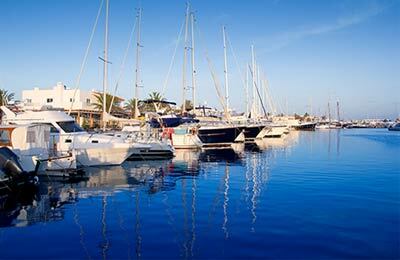 You can use Mahon to take ferries around the Balearics and also to Spain. 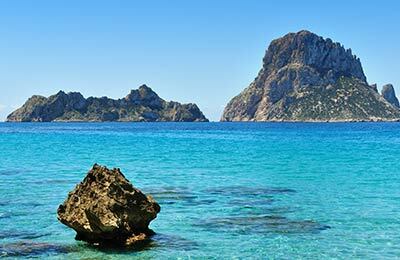 Domestic services in the Balearics are available from Mahon to Palma while ferries away from the Balearics sail to Barcelona and Valencia. Ferries to and from Mahon are operated by Trasmediterranea. When you search for a ferry to Mahon, we will always show a range of times just in case it's cheaper earlier or later than the time you select. We'll also show you results for similar ports like Ciutadella to help you find the best times and prices to suit your plans. Mahon ferries with Trasmediterranea are known for their comfort and high levels of service, and you will feel like your holiday has begun the moment you step on board. Travelling to Mahon will be easy and hassle free. Start by making your booking today, it's quick and easy. I apparently had a VIP cabin for two in a four birth cabin. The best cabin I have ever had on any ferry crossing either from UK or Spain. The ship left on time and got in on time. The staff were pleasant and efficient. The cabin was as expected and the beds were comfortable. We often cross from Barcelona to Mahon and back and would recommend travelling with Trasmediterranea for this journey. Very disappointed to find Barcelona terminal restaurant closed, as we have used this many years and need dinner prior to embarking. Check in facilities understaffed. The cabins are dirty . There was only 1 towel and when we went later on to reception it was closed. There is also a very large problem with people having tyres slashed on board when on return trip to Barcelona and then robbed on arrival.